We recently posted in a blog about teen driving. The post outlined teen driving and accident statistics, as well as how parents can keep them safe and make sure they are practicing good driving habits-- even when they are not in the car with them. We even discussed the STC (Safer Teen Car) system designed by the NHTSA. Well , as recently reported in the Legal Examiner, summer is the deadliest time for teen drivers. Originally, one would think that winter would be the deadliest time for teen drivers (as well as adults drivers) because of the icy, slippery, and wet conditions. It actually turns out that summer is the deadliest time for teen drivers because of the increased likelihood of that teen to become distracted. Lets face it, summer time means freedom for a lot of teens. They do not have school and get to hang out with their friends all the time now. Some teens (not all) will be engaging in underage drinking and do not know their 'limit' and will think they can drive after 'a couple beers'. While texting and driving will get you a fine-- if caught-- teens will still engage in texting and driving. Both underage drinking (and driving) and texting and driving are both really dangerous activities, but there is a higher likelihood that some teens will in engage in one-- if not both-- activities this summer. The Legal Examiner reported that the statistics on teen traffic related accidents are 'astounding' and that motor vehicle accidents are the leading cause of teen related deaths--5,000 dying each year. With May being Global Youth Traffic Safety Month here are four tips for drivers to have a safe summer on the roads. Promise to not text and drive-- make a pledge to stop all together. Know the risks-- teens can read about the top risks for driving and educate themselves to become better and more defensive drivers. Take traffic safety 'selfie'-- no, not while driving in the car. Take the 'selfie' after you arrive safely at your destination and label it "#trafficsafeselfie this will let everyone know you are safe and sound at your location. Learn about teen driver safety-- read safety facts and make sure you're following the safety tips. Consider following a group dedicated to safety, where you can read safety blogs and tips. With that being said, we do not want to put a damper on your summer. Just remember to drive safe and take the pledge to not text and drive-- it can wait. 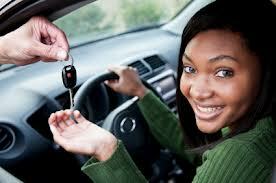 For more information on safety tips for teen drivers, head over to www.nhtsa.gov. We cannot control others on the road but as long as we are practicing safe driving habits, we can do our best to protect ourselves and our passengers. For more information this story, head over to the Legal Examiner.